Ryan Lytle (1987) is a sculptor born and Raised in the Hampton Roads, Virginia area. He earned a B.A. in Studio Art from Christopher Newport University and his MFA from the Rinehart School of Sculpture at the Maryland Institute College of Art. 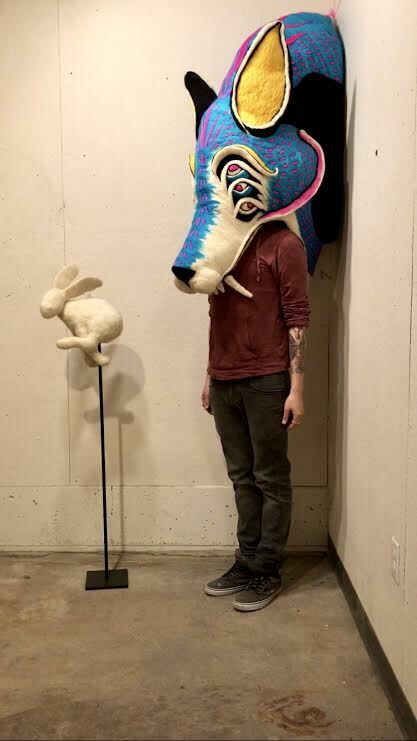 He currently is interested in the process of needle-felting and how the medium has the ability to provide a nostalgic comfort reminiscent of his extensive childhood stuffed animal collection. The medium allows him to create works within a surreal space that is both disarming and inviting. He draws inspirations for his work from mythologies, existing animal architypes, as well as nature documentaries and observation.